care that they need. It can be a viable and easy option for those who may have a fear of the dentist, perhaps from a traumatic event they experienced as a child or adult, or for those who have a special need, or simply for those who need to save time. No matter the reason, skipping regular checkups, cleanings and, for some, forgoing important restorative procedures that can jeopardize health and is no reason to avoid the dentist. Especially when there is an option. 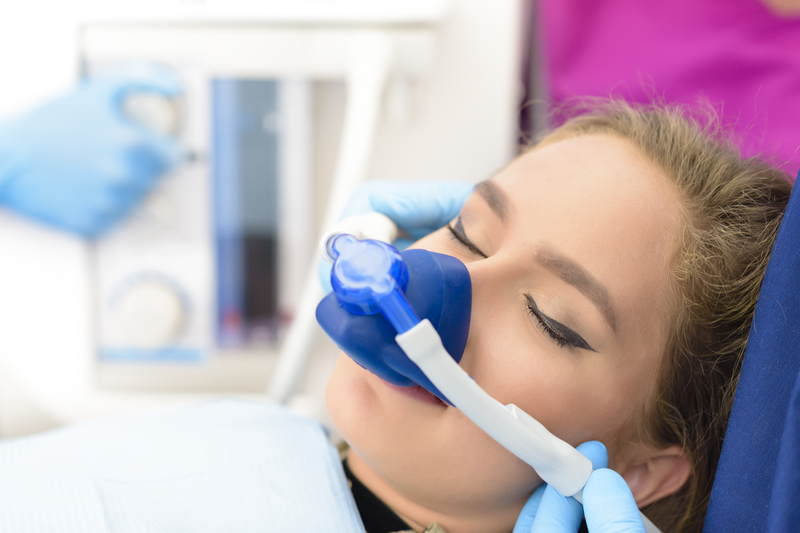 Modern dentistry offers a variety of new tools that can make your trip to the dentist tolerable and comfortable when using sedation dentistry. rate and EKG, to help ensure our patients safety. a more relaxed and pleasant experience as well. People with fear, anxieties and phobias related to trauma, stress or dental procedures. dentistry can often eliminate the issue that may arise from those who have this experience, virtually removing the pain altogether. techniques, this problem can be eliminated. those who may need a more sophisticated treatment (root canals, implant dentistry, full-mouth rehabilitation). answer any question you may have about sleep dentistry and dental anesthesia services. Contact us by calling 717.778.4268, or by emailing us at SamuelsDentalArts@yahoo.com.